With some having travelled thousands of kilometres, the largest gathering of moulded, fibreglass trailers is getting underway in Winnipeg Wednesday to mark 50 years since the Boler was invented. 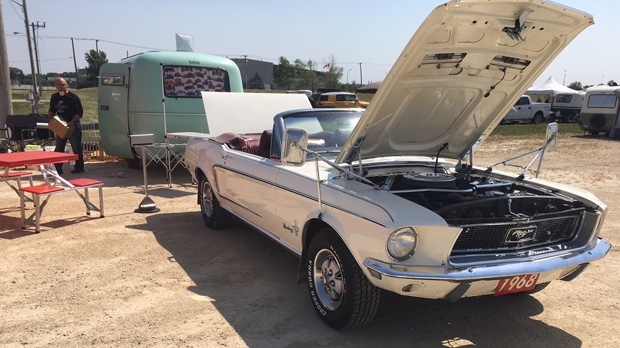 The trailers affectionately referred to as ‘eggs on wheels’ were created in 1968 in Winnipeg, the same city they were first manufactured en masse in. “To me, these are a piece of Canadian history. A very unique part of Canadian history,” said Ian Giles, a Calgary-based co-organizer of the anniversary. More than 450 trailers of the style of will be on site, at least 300 of which are of the Boler brand that stopped being made in 1988. Giles told CTV News Bolers from all over North America are arriving in convoys, including one of about a dozen from Victoria. 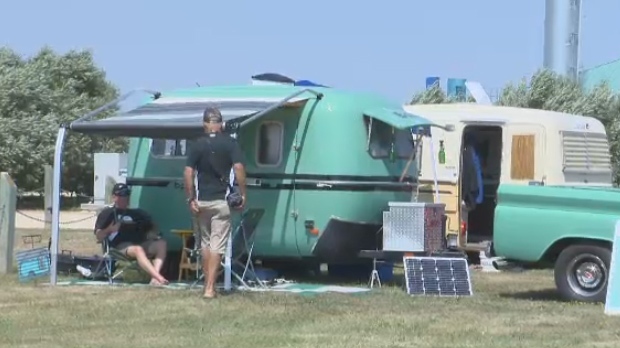 Boler enthusiasts are also travelling from San Diego, Texas, New Mexico and Yellowknife, he said, adding he believes the furthest journey will be about 4,000 kilometres, from Corner Brook, Nfld. Giles said while this gathering is the largest, it’s far from uncommon. 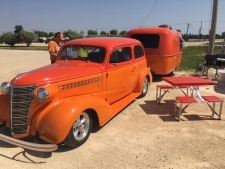 “When you buy a Boler or any fibreglass trailer, you, unbeknownst to you, you actually join a fraternity or a cult of enthusiasts,” he said, explaining that the community holds regular events across the country and is highly active online. He said Boler people share a lot of traits. Giles said the lengths owners take to customize their trailers is part of the attraction, but part of what drew him to the community was seeing people go too far. He got his first Boler eight years ago, and said after hearing of trailers that collapsed after being gutted, he felt the need to get the word out about how to make sure the trailers would last. “They’re like a bearing wall in a house. These cabinets hold up the roof,” he said, adding he provides information to help owners keep the trailers on the road and operational. The celebration is sold out, but members of the public can attend an open house Saturday from 10 a.m. to 3 p.m. at the Red River Exhibition Park. “We’re all very simple campers,” said co-organizer Ian Giles.